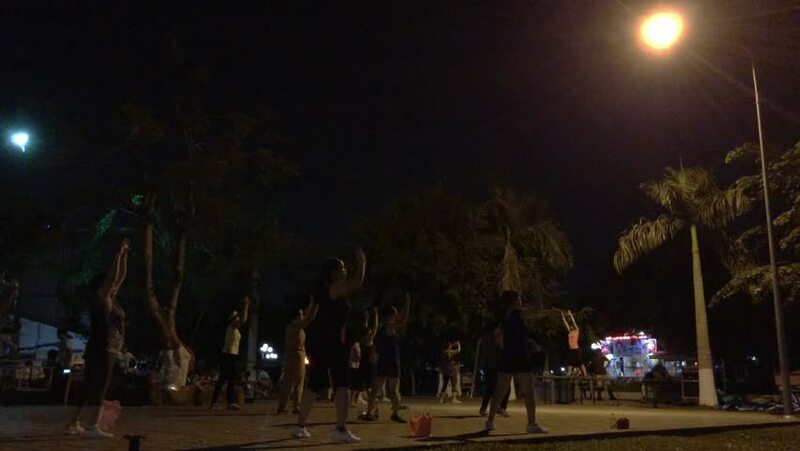 HO CHI MINH - MARCH 1, 2015: Unidentified women do aerobics in the Lang Hoa park in the Go Vap district. Most Vietnamese do some sport outdoors in the morning or in the evening. hd00:12MOSCOW, RUSSIA - SEPTEMBER 4, 2015: Pakistan performs during the "Spasskaya Tower" Military Music Festival. hd00:25Christmas star lantern, Christmas star parade at Tharae, Sakon Nakhon, Thailand. hd00:16AMSTERDAM, THE NETHERLANDS - JANUARY 07, 2017: People skate on winter ice skating rink in front of the Rijksmuseum, a popular touristic destination.Slow Motion Video. Amsterdam, The Netherlands.